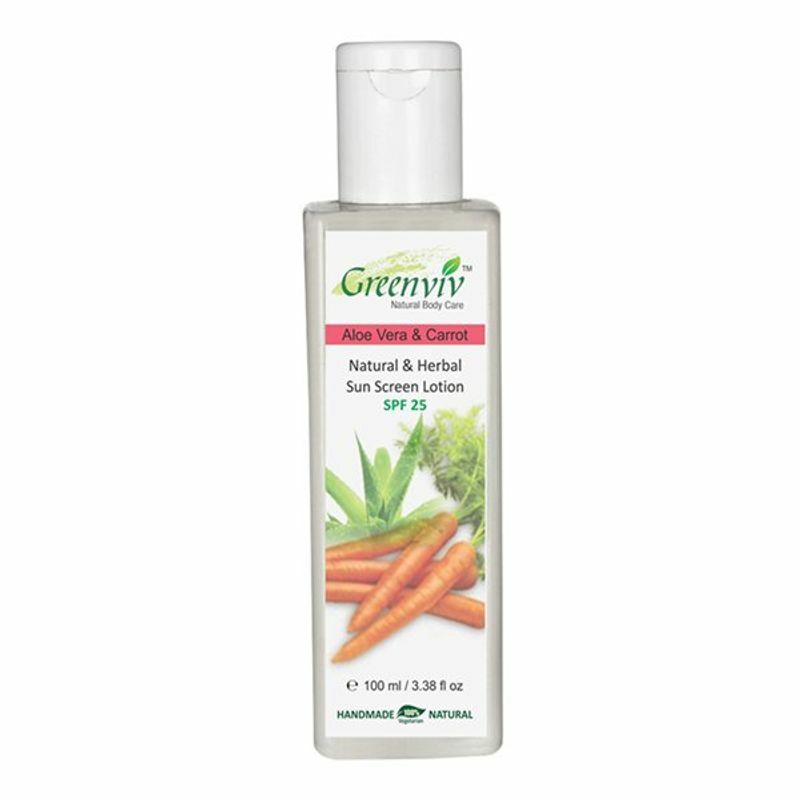 Protect your skin from the harmful rays of the sun with the Greenviv Natural Aloe-Vera & Carrot Sunscreen Lotion. Suitable for all skin types, this sunscreen is must have for every woman. This sunscreen refines the pores of your skin and reduces oiliness and has a soothing and firming effect on your skin. Whether you are heading out to the beach or travelling to work, the Greenviv Sunscreen will let you breeze through your day without working about skin darkening. It easily blends into your skin to give you a unique matte finish. Enriched with skin lightening ingredients, this sunscreen not only protects your skin, but also lightens it.